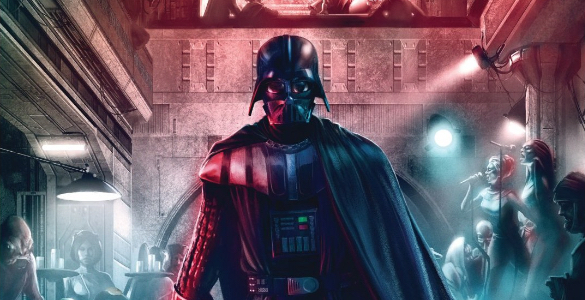 In the modern Star Wars era, Darth Vader is like the Freddy Krueger of the greater universe — ostensibly a villain, but really the one everyone is rooting for. 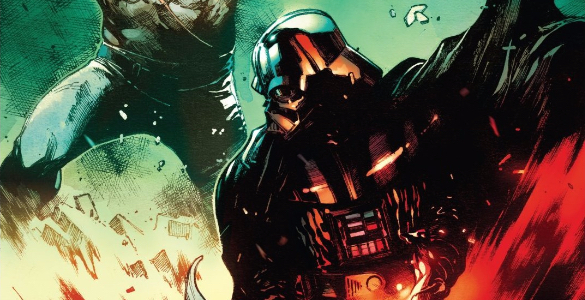 Charles Soule and Giuseppe Camuncoli’s Darth Vader 11 leans into Vader’s anti-hero persona by reversing the usual Vader story and turning him into the prey. 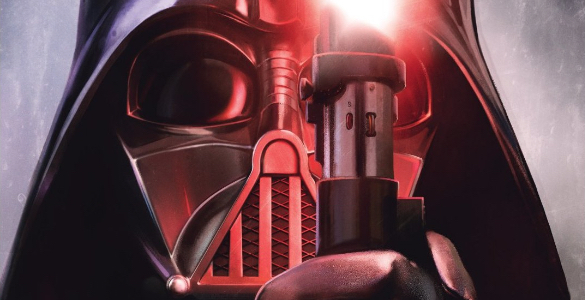 Today, Spencer and Scott are discussing Nova 13, originally released February 19th, 2014. Today, Spencer and Drew are discussing Nova 12, originally released January 15th, 2014. Today, Ethan and Drew are discussing Avengers 21, originally released October 16th, 2013. This issue is part of the Infinity crossover event. Click here for complete Infinity coverage. Ethan: The Infinity arc has been many things: ambitious, epic, nail-biting, repetitive, crowded. The adjective that perhaps best describes the current bit of the story — Avengers #21 — is “compressed.” We’ve groused a bit about the many angles through which we were forced to watch the events of Starbrand wiping out a Builder fleet and an Avenger strike team freeing their teammates, so maybe this issue is a welcome departure from the exhaustive coverage of the previous battles. Yet I’d almost welcome an alternate perspective / re-hashing of the events of this issue, because it was anything but drawn-out. We get the meditations of supercomputers, hand-to-hand fighting across 6 different planets, absurdly dangerous decisions made by a handful of commanders far from the fighting. The brink of despair, total salvation, all in a couple dozen pages. Today, Spencer and Drew are discussing Avengers 20, originally released September 25th, 2013. This issue is part of the Infinity crossover event. Click here for complete Infinity coverage. Spencer: Hawkeye, Scarlet Witch, Quicksilver; the Avengers have a long history of welcoming reformed villains into their ranks. 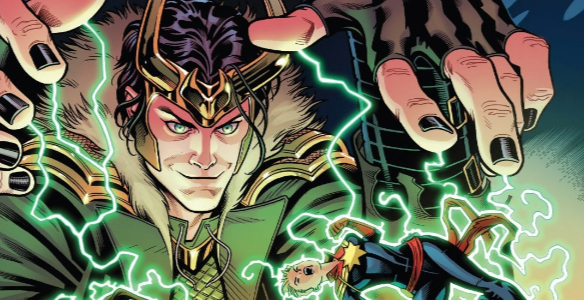 Ex Nihilo and Abyss are the latest Avengers to take advantage of this, but after serving as the villains of the first storyline of Jonathan Hickman’s Avengers — and after spring boarding the series’ central conflict — their reformation has felt just a little too easy. They basically became Avengers just because Captain Universe said so. 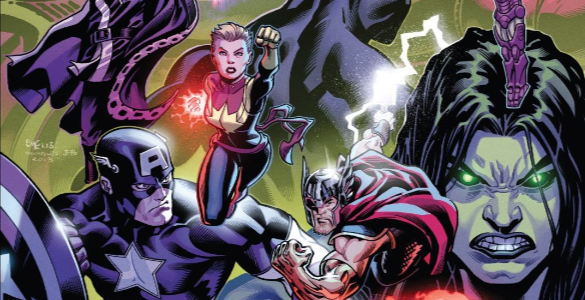 I’m sure she knows best (well, kinda sure), but while I had no problem believing that these two were no longer threats to the Earth, I had a much harder time believing that they could reliably serve as Avengers. Now Ex Nihilo and Abyss are faced with their creators, their brothers and sisters…how will they react? Are they heroes, or villains?